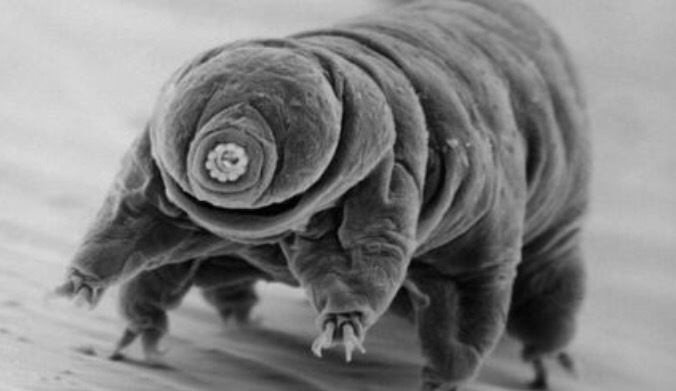 Tardigrades aren’t really bears, of course, but they do resemble little eyeless bears with extra legs. It turns out they are pretty amazing, and much better than humans at survival. Plenty of threats could wipe humans out — including climate change, nuclear war, and disease. But after we (and all other animals on the planet ) go extinct, one tiny, miraculous organism will live on: the tardigrade. Sometimes called water bears or moss piglets, tardigrades are usually about .5 millimeters long, and can survive in a stunning range of environmental conditions. For the new study, published Friday in the journal Scientific Reports, three University of Oxford scientists investigated the astrophysical events that could be catastrophic enough to annihilate all life on Earth. Since tardigrades are the most resilient species on our planet, the researchers used them as their barometer. The simplest way to kill every living thing on Earth, the scientists decided, would be for our entire oceans to boil. For that to happen, the planet would need to get an energy input of 5.6 x 10^26 joules by their calculations — roughly equivalent to a million years’ worth of total human energy production at our current rates. Because all three of these events are so unlikely, the researchers conclude, tardigrades will probably hang around on earth until our sun explodes — about a billion years from now. … Tardigrades are considered extremophiles, a term for organisms that have been discovered in environments that scientists once thought could not sustain life. They have been revived after being frozen in Antarctic moss for 30 years. They’ve been shown to survive in space. Two of the authors of the new study elaborated on the microscopic creatures’ remarkable resilience in a recent piece for The Conversation. There are more than 1,000 different species of tardigrades, living in all kinds of environments around the planet. The primary reason they’re so durable is that they can enter a state of cryptobiosis, which is remarkably close to death. In this state, the organisms’ metabolic activity gets reduced to undetectable levels. Their bodies contract, losing all but 3 percent of their water. In essence, they’re completely dehydrated. Scientists are still researching cryptobiosis, which some have called a “third state between life and death,” as well as other aspects of tardigrades’ biology. When researchers sequenced the creatures’ genome in 2015, they found that nearly a sixth of tardigrades’ DNA came from foreign organisms (compared to just 1% for most animals). They believe this happens because tardigrades’ DNA actually breaks into small pieces when they’re under intense stress, such as extreme dryness. When the cells start to rehydrate, their membranes and the nucleus housing the DNA temporarily become leaky, allowing other large molecules to pass through. They repair their own DNA and absorb foreign DNA when rehydrating — a process that gives them a patchworks of genes from other species. In 2016, scientists from the University of Tokyo also discovered a new protein in tardigrades that shields them from harmful radiation. Such abilities have challenged how scientists understand the process of evolution, and has yielded clues about ways we could increase human survival. … If the emergence of life on other Earth-like planets gives rise to organisms as durable as tardigrades, the authors suggest, then the chances are good that life is still around on those planets. This is reason for hope in the hunt for alien life, since it means that if life took hold on any planets similar to ours, there are probably still survivors that we might one day be able to find. “We do not fully understand the mechanisms by which life started, but once it exists on an Earth-like planet, the complete removal of all life (other than through evolution of the host star) is a very unlikely event,” the conclude in the study. 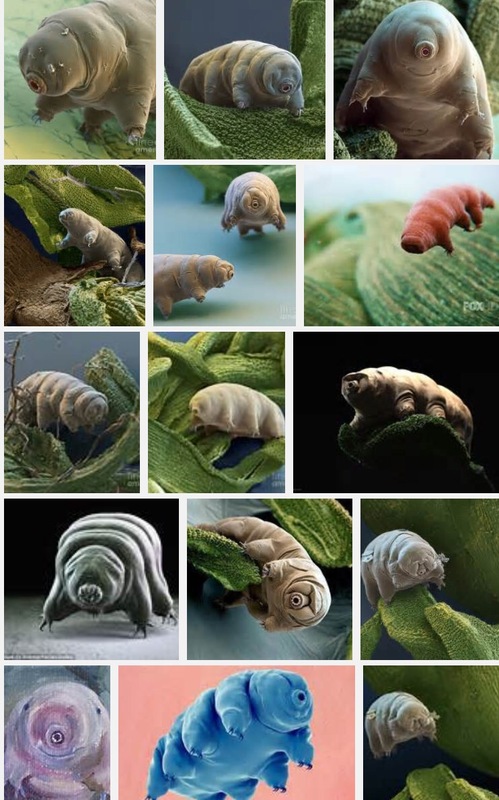 … tardigrades are small invertebrate animals, 0.004 to 0.04 inches (0.1 to 1.0 mm) in body length, that live in terrestrial mosses, soil, or lichens. They also inhabit ocean and polar regions.” Often known by their nickname, “water bears,” studies of these bizarre creatures have surprised scientists. Recent research has shown that water bears can survive the dangerous conditions of space. Previously, the only organisms that have been exposed to the radiation and vacuum of space and lived to tell the tale are certain types of bacteria and lichen. That simple animals like tardigrades also can survive gives more credence to the theory of panspermia, which claims that organisms could move from world to world after travelling though space. Knowing the survival tricks of water bears also could one day be a key component in enabling the human exploration of the universe. Would they survive on Mars? While they could survive in their dried out form on mars, water bears wouldn’t evolve or do anything interesting there because there is no water. They’d just stay dormant. Another fact from the article that may surprise you is that the sun will make the earth uninhabitable in only a billion years. We could go extinct much sooner if we get hit with a massive space rock. My hope is that humanity gets organized soon, stops fighting about stupid things and works together to improve our collective odds of survival. Using our collective intelligence is our best chance to beat moss pigs / water bears in the animal life survival game. Interesting and a little disturbing! I don’t quite know what to say about this -resilient little monsters, aren’t they !